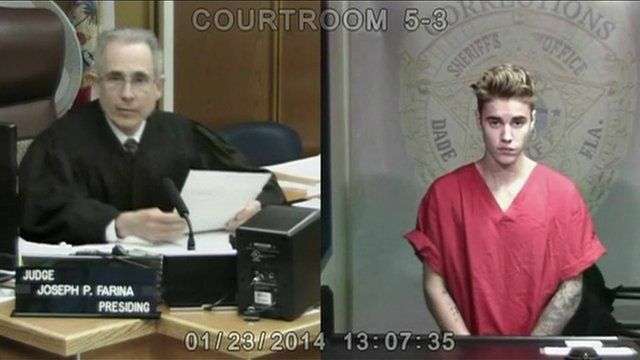 Justin Bieber appears in court Jump to media player Singer Justin Bieber has appears in a Miami court accused of racing and driving under the influence of alcohol, marijuana and prescription drugs. 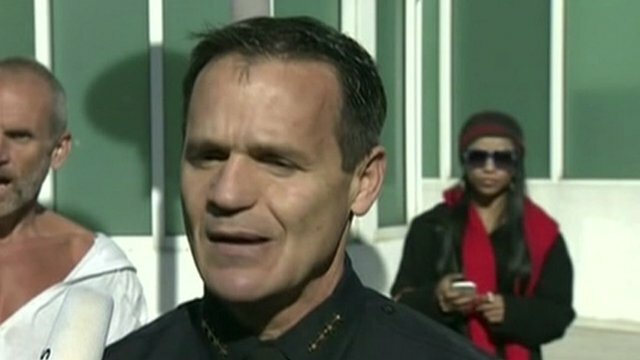 Video shows Bieber drink drive arrest Jump to media player Singer Justin Bieber is granted bail after appearing in a Miami court accused of racing and driving under the influence of alcohol, marijuana and prescription drugs. Egg attack prompts Bieber home search Jump to media player The Los Angeles home of Canadian pop star Justin Bieber has been searched by police, following allegations that he threw eggs at his neighbour's house. 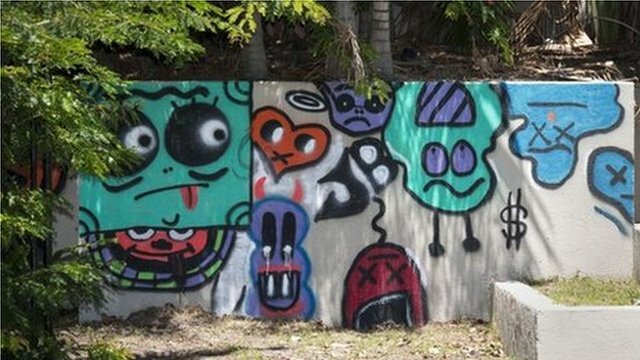 Bieber told to clean up graffiti Jump to media player A hotel in Queensland, Australia, says it wants to keep graffiti spray-painted onto one of its external walls by the Canadian pop star Justin Bieber, despite being at odds with local authorities who think it is an eyesore. Bieber 'light of breath' at concert Jump to media player Justin Bieber fans captured the moment the pop star suffered breathing problems and had to leave the stage at his concert at London's O2 Arena. Parents demand apology from Bieber Jump to media player Hundreds of parents were forced to take their children home from a Justin Bieber concert before the singer even came on stage on Monday night, after he turned up two hours late. 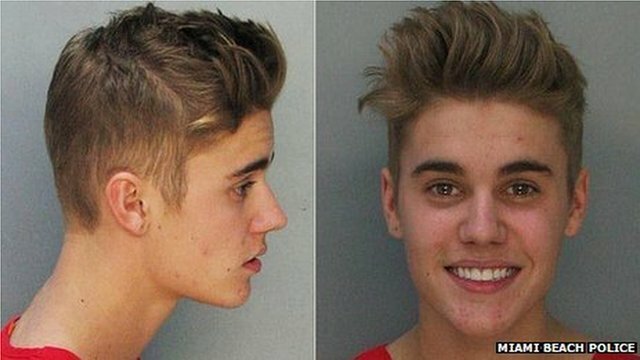 Singer Justin Bieber has appeared in a Miami court accused of racing and driving under the influence of alcohol, marijuana and prescription drugs. Video footage shows Judge Joseph Farina granting the 19-year-old bail at $2,500 (£1,500) after his lawyer Roy Black made a representation on his behalf.